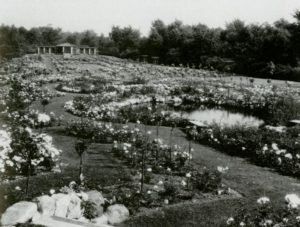 Clara Ford’s extensive rose garden at Fair Lane, the year-round residence of the Ford family in Dearborn, Michigan. You may know that both Mina Edison and Clara Ford grew roses at their year-round residences, but did you know that you can have a beautiful rose garden right here in Southwest Florida? Attend our class on April 16th at 1:00 pm and you will learn all the techniques required for a successful rose garden in our semi-tropical climate – it is quite different from what you may have learned to grow roses up North. We will cover soils, feeding, varieties, root-stocks, pests, weather conditions, planting times and pruning techniques. 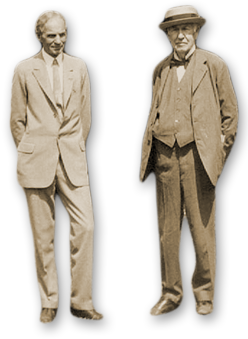 This class will be approximately 90 minutes and will be held in the air-conditioned comfort of the Garden Council Building, located adjacent to Edison Ford, at 2166 Virginia Ave. (If you park in our Larchmont Street Parking Lot, the entrance to the Garden Council Building, also known as the Berne Davis Gardens, is immediately across the street.) Pre-registration is required– click here for more information. Members – $30 and Non-Members – $45. Class size will be limited to 25.